There are moments in your life, young and old where you encounter a person, event, thing that is so impactful, that it sets you on a course you might not have journeyed if you hadn't encountered that person, event or thing. Reading 'Prince Caspian' was one of those moments for me. 9 or 10 years old, I borrowed the book from the school library and my love of books and - even more, book series - was set in stone as part of my life from then on. Over the next few years I found and read all the books in the Narnia series - often out of order like the first, but over my teenage years and into adulthood I re-read them over and over - in order! And always getting more from them each time. 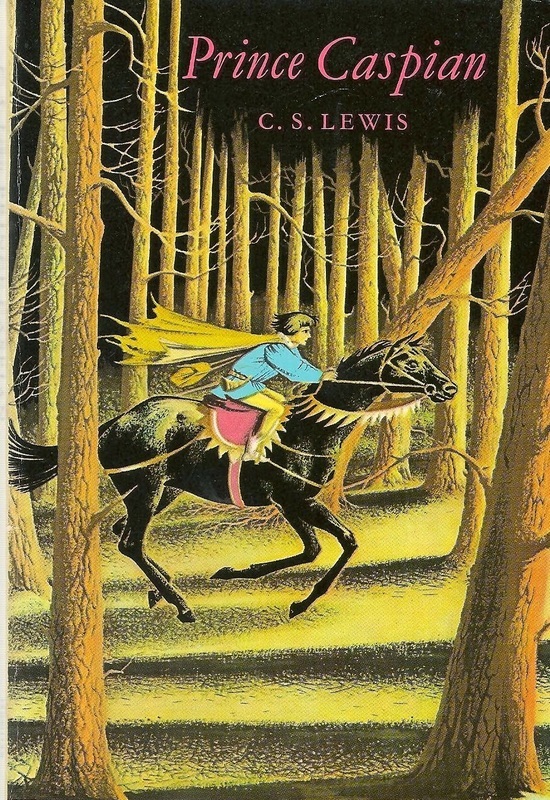 'Prince Caspian' was the moment I became a book series collector. Even though before that I fell in love with the 'Faraway Tree' and the 'Wishing Chair' (thank you Enid Blyton) the Narnia series began a journey that continues to this very day. Cynthia Voigt's 'Tillerman' series and 'Kingdom' series - wow, just... wow. A notable exception here is 'The Lord of the Rings' and the reason for that is very simple. I remember many people recommending these books to me when I was young and it turns out I was too young. I tried 'The Hobbit', I tried 'The Lord of the Rings' and I was just not ready. They were too difficult for me, they didn't pull me in and as a result I was turned off and never read them. Thankfully Peter Jackson did his film magic with the trilogy - allowing me to access this amazing world - and I became a fan. The books now sit creased and worn - finally read and appreciated - on the bookshelf and I remember this powerful personal lesson when I recommend books to kids. You have to learn how to learn to drive, control and appreciate a simple car before you jump behind the wheel of a Ferrari! Agatha Christie mysteries - but not Poirot! George G Martin's 'Game of Thrones' series - basically because of the TV show! I know I've missed hundreds, but I'm just about done in! !